The Mysteries of Low Back Pain! Do you realize how complicated the low back region is when it comes to investigating the cause of low back pain (LBP)? There can be findings on an x-ray, MRI, or CT scan such as degenerative disk disease, arthritis, even bulging and/or herniated disks that have NOTHING to do with why the back hurts. 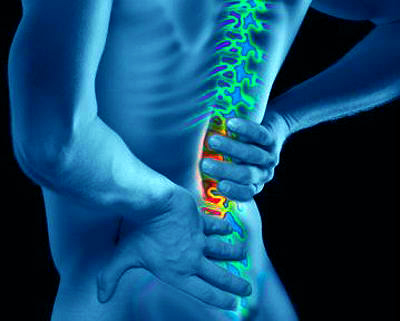 Similarly, there are often other abnormal findings present in many of us who have NO low back pain whatsoever! Because of this seemingly paradoxical situation, we as clinicians must be careful not to over-diagnose based on the presence of these “abnormal findings” AND on the same hand, be careful not to under-diagnose them as well. Looking further into this interesting paradox, one study reported findings that support this point. Investigators examined 67 asymptomatic individuals who hadNO prior history of low back pain and evaluated them using magnetic resonant imaging (MRI). They found 21 of the 67 (31%) had an identifiable disk and/or spinal canal abnormality (which is where the spinal cord and nerves run). Seven years later, this same group of non-suffering individuals were once again contacted to see if they had developed any back problems within that time frame. The goal of the study was to determine if one could “predict” who might develop low back pain based on certain abnormal imaging findings in non-suffering subjects. A questionnaire was sent to each of these individuals, of which 50 completed and returned the questionnaire. A repeat MRI scan was performed on 31 of these subjects, and two neurologists and one orthopedic spine surgeon interpreted the MRI studies using a blinded approach (without having knowledge about the subject’s symptoms or lack thereof). Each level was assessed for abnormalities including disk bulging/herniation and degeneration. Those who had initial abnormal findings were defined as “progressed” (worsened) if an increased severity of the original finding was evident or if additional or new spinal levels had become involved over the seven-year time span. Posture and Headaches (HA) play a significant role in a person’s quality of life and are one of the most common complaints that chiropractors see. This comes as no surprise, as one survey reported 16.6% of adults (18 years and older) suffered from migraines or other severe headaches during the last three months of 2011. Another study reported that head pain was the fifth LEADING CAUSE of emergency department (ED) visits in the United States and accounted for 1.2% of all outpatient visits. These statistics are even worse for females (18-44 years old), where the three month occurrence rate was 26.1% and the third leading cause for ED visits! Because of the significant potential side effects of medications, many headache sufferers turn to non-medication treatment approaches, of which chiropractic is one of the most commonly utilized forms of “complementary and alternative approaches” in the management of tension-type headaches. So, why are headaches so common? 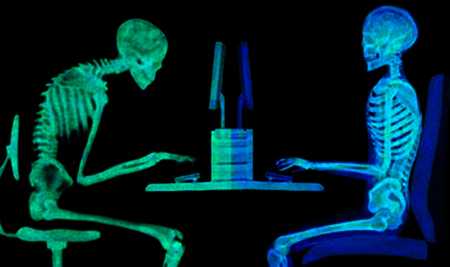 Let’s talk about posture! Between chiropractic adjustments, posture retraining exercises, other postural corrective care, and strength exercise training, we WILL help you correct your faulty posture so that neck pain and headaches STOP and don’t progress into a chronic, permanent condition. Carpal Tunnel Syndrome (CTS) is caused by compression and subsequent irritation of the median nerve as it travels through the carpal tunnel and into the hand where it innervates the palm side of the second to fourth digits. As stated last month, the median nerve is sometimes referred to as, “…the eye of the hand” since we rely so heavily on activities of daily living (ADLs) that require its health and function. Some of these ADLs include buttoning a shirt, picking up small objects, tying a shoe or neck tie, writing, holding a book or coffee cup, gripping items such as a phone or steering wheel, opening jars, household chores, and carrying objects, especially with the finger tips. When patients present with CTS signs and symptoms, one would think that the examination and treatment would be fairly straightforward and “routine.” The problem is, no two cases of CTS are identical because of all the possible mitigating factors, or the presence of OTHER issues that may be contributing or may be the REAL cause for CTS in that particular person. This may explain the reason surgical release of the transverse carpal ligament doesn’t always work! The “Great Imposters” of CTS include both physical and chemical factors. Physical factors include (but are not limited to): 1) Cervical nerve root compression: Since the median nerve originates from the C6-T1 (and a little from C5) nerve roots exiting the spine, it only makes sense that a pinched nerve in the neck can mimic a pinched nerve at the wrist. The difference here is “usually” that the whole arm is involved, which is less likely in CTS only. Moving down from the neck, the next most common location for a mechanical pinch is at the 2) Thoracic outlet: Here, the nerve roots coming from C5 to T2, like merging lanes of a highway, come together to make the three main nerves that enter the arm and along with the blood vessels, this “neurovascular bundle” leaves the upper chest region and travels through the thoracic outlet to enter into the arm. The thoracic outlet can become narrowed if there is an extra rib, a shift in the collar bone or shoulder blade, from muscles that are too tight (especially the anterior scalene and/or pectoralis minor), or from anything that occupies space within the thoracic outlet. 3) Struther’s ligament: In a few of us (only about 2%), there is a ligament just above the elbow that can entrap the median (as well as the ulnar) nerve, creating a pinch and subsequent numbness below that point, mimicking CTS. 4) Pronator tunnel: The median nerve is more commonly entrapped by the pronator teres muscle just below the elbow, and treating this location can be highly rewarding when managing stubborn CTS cases. Less common is entrapment in the mid-forearm, though it’s possible by either the interosseous membrane that connects the ulna and radius or from fracture of the ulna and/or radius. The most distal point of median nerve compression is at the carpal tunnel. 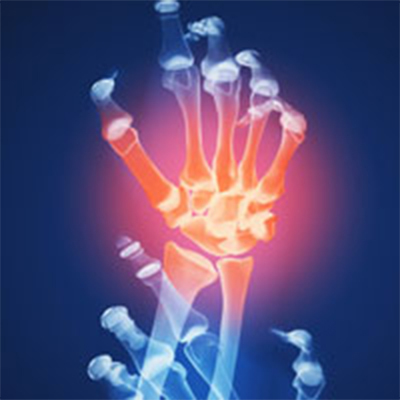 Entrapments can be singular or multiple and when more than one “tunnel” compresses the median nerve, the term double or multiple crush is utilized. Management MUST address ALL points of compression to obtain long-term satisfying results. Other “imposters” of CTS include a host of conditions including (but not limited to) thyroid disease, diabetes, arthritis, pregnancy, birth control pill use, obesity, and MANY others! 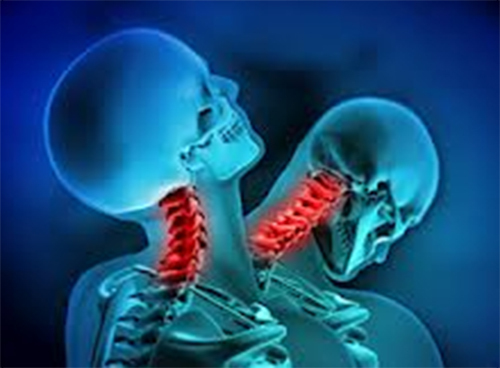 Chiropractic makes the most sense when it comes to managing CTS from mechanical causes. If response is slow or not satisfying, we will order tests and/or consults to get to the bottom of what “imposters” may be contributing to your CTS symptoms! Fibromyalgia: Do I or Don’t I Have It? 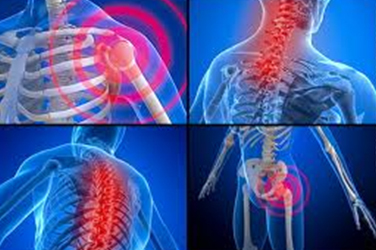 Fibromyalgia (FM) is one of the most common types of chronic pain disorders with an estimated five million sufferers in the United States alone. A “hallmark” of FM is the difficulty its sufferers have in describing their symptoms. When asked, “…what type of pain do you feel?,” the response is often delivered with uncertainty such as, “…it’s kind of achy but sometimes gripping…it makes me stop what I’m doing sometimes for only a second or two, but othertimes, I have to sit or lay down until it passes.” It’s sometimes referred to as “deep inside” or radiating, shooting, tender, pins and needles, and locating the pain is another big challenge. It’s often a “generalized” deep ache that includes multiple body areas, sometimes all at once. At other times, it’s spotty and moves around. It’s typically NOT restricted to one side of the body but rather on both sides. It is these inconsistencies that makes diagnosing FM so challenging, sometimes to the point where it can literally takeYEARS before a patient is diagnosed. One study reported that of the 92% FM sufferers who had discussed their complaints with a primary care doctor, only 24% lead to the diagnosis of FM! It is often asked what makes FM so difficult to diagnose and the answer is simply, “…we can’t see it,” and, there are no definitive diagnostics like a blood test, an x-ray, or even more sophisticated tests that can be relied upon to easily make the diagnosis. Moreover, many FM sufferers have other conditions that overshadow FM signs and symptoms that often become the focus of her (or his) doctor. Back in the early 1990s, the American College of Rheumatology reported “a system” for diagnosing FM. This consisted of a physical examination approach where a certain amount of pressure applied to at least 11 of 18 “tender points” had to be present. This was initially received with enthusiasm, as previously FM was a diagnosis made almost entirely on “gut instinct.” However, it soon became apparent that it was not so easy to interpret the patient’s response when these tender points were tested. Today, for a diagnosis to be made, there are three specific findings that are considered: 1) Wide spread muscle pain (in all four quadrants); 2) Pain that has been present for at least three months; and, 3) at least 11 of the 18 tender points are found – LESS emphasis is placed on the latter. The Fibromyalgia Pain Assessment Tool is a questionnaire filled out by the patient that can also help lead to the diagnosis of FM. Assessing the FM patient for other complaints or conditions commonly associated with FM include the following (% prevalence is reported by fibrocenter.com): 1) Irritable bowel syndrome (32-80%); 2) Temporomandibular disorder (TMD) (75%); 3) Chronic fatigue syndrome – sometimes to the point where bed rest is mandatory (21-80%); 4) Tension or migraine headaches (10-80%); 5) Multiple chemical toxicities; (35-55%); 6) Interstitial cystitis (21%) which includes  eight months of bladder pain, urinary urgency, and frequency (more eight times a day and two times a night); 7) Restless leg syndrome (32%); and 8) Numbness, especially the hands and/or feet (44%). Other common complaints include sleep interference, which prevents deep sleep to be reached, depression or anxiety, concentration and/or memory problems, and more! As chiropractors, we are trained to assess the FM patient, establish the diagnosis, and offer management strategies such as spinal manipulation, massage, exercise training, nutritional counciling, modalities, and more, which can significantly improve the quality of life of the FM patient. To achieve the best outcome, you may require the services of other types of healthcare providers, as the importance of co-management cannot be overemphasized! Last month, we started the discussion of whiplash self-care options in the management of whiplash or CAD (cervical acceleration-deceleration) or WAD (whiplash associated disorders). In this series, we are describing various treatment methods that you can be taught to help facilitate in the management process during the four stages of healing (acute, subacute – discussed last month; remodeling and chronic – addressed this month).